Many homeowners refinance their mortgages before expiry of the term. This decision is typically done in response to changing economic conditions and/or financial situations as well as for the potential benefits. However, borrowers must do extensive research and pay close attention to detail when looking into refinancing; otherwise, it may end up costing you a lot more than you bargained for in the long run. Lower Interest Rate. Your credit score may have increased over time, so you may want to take advantage of lower interest rate charges from lenders. Changing Loan Program. Most mortgage lenders offer fixed rate mortgages (FRM) and adjustable rate mortgages (ARM). If you took out an adjustable rate mortgage but you’ve realized that you are paying more due to a hike in interest rates, then you may wish to change to a fixed rate mortgage. This will give you financial peace as you plan on fixed payments. Improved Financial Situation. It may happen that your financial situation has improved over the years since you took out a mortgage. In this case, refinancing will help you pay your balance quickly and build your home equity fast. Cash Requirements. Mortgage refinancing can help you access cash that will enable you to pay for a child’s college tuition, buy a new car or improve your home. State your reasons for refinancing. Knowing the reason why you want to refinance your mortgage helps you narrow down lenders to who meets your needs easily. Review your credit score. The higher the credit score, the more the loan amount you qualify for at a relatively lower interest rate. This is based on the fact that your default risk is lower. Refinance mortgage lenders will compete for potential borrowers with high credit scores. Specify the loan amount, interest rate and monthly repayments. Make some estimates of the amount you need and the repayment parameters so that you can determine your capacity to repay. Use a mortgage calculator to find out whether you will be comfortable with a fixed rate mortgage (FRM) or an adjustable rate mortgage (ARM). Ask your current mortgager first. Since you have an established record with your current mortgagor, it is important to seek a refinancing deal with them first. Your current mortgagor may likely charge you lower processing fees and closing costs. Check with a variety of other lenders as well. Even though your current mortgagor may offer you exciting terms, there are other lenders who may offer you much better terms, like lower interest rates. Check your state’s banking division to ensure that the lender is legitimate. This will enable you avoid scams which may evade liability if something goes wrong. Be careful with mortgagors offering no closing costs. The aim of every mortgagor is to land a customer. It is therefore not uncommon for many mortgagors to say that they have no closing costs. However, a closer analysis indicates that such mortgagors are likely to charge you more in terms of upfront fees or rolled-in costs. Consider a rate-lock deal. Many borrowers get disillusioned just after a few years into their mortgage deal. In a bid to avoid more refinancing applications, inquire whether your mortgage refinancer will offer you a rate-lock deal and the length of time it will last. This deal indicates the lender’s commitment. Find out whether you are liable to prepayment penalties. Most firms have a penalty for early mortgage payments. Refinancing a loan also qualifies here. You need to know the penalty amount and compare many lenders so that you know who you will save the most with if you decide to pay your mortgage off early. Evaluate any changes in property market values. If there is a significant drop in the market values of property, then it may be difficult to refinance a mortgage because lenders fear losing. However, you may qualify if a substantial amount of your current mortgage has been paid. 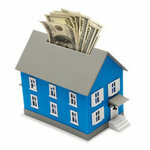 Evaluate the option of a cash-in mortgage refinance. In a cash-in mortgage refinance, homeowners swap big loans for smaller ones thus leaving cash on the table when the deal is closed. The cash obtained can be used to fulfill other financial obligations. It also helps you to pump your home equity to 20%. Even though you feel that you’ve arrived at your mortgage lender choice after a few tips, it is important to consider all of the other potential lenders because they may be offering other comparatively significant financial benefits.